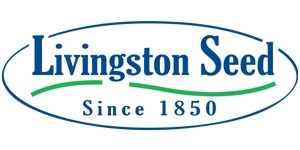 Livingston Seeds are Buy Two Get One Free for a limited time. We have a large variety of Seeds-Garden, Flower, and Herb. Non-GMO, heirloom, organic. Limit four free. Must present coupon at time of purchase. Not valid with any other discounts or sales. Register for 2 days and earn all 12 CEUs needed to renew your Unrestricted CSL or register for 1 day and earn 6 CEUs to renew your Specialty CSL. All classes taught by leading industry experts! REGISTER TODAY!